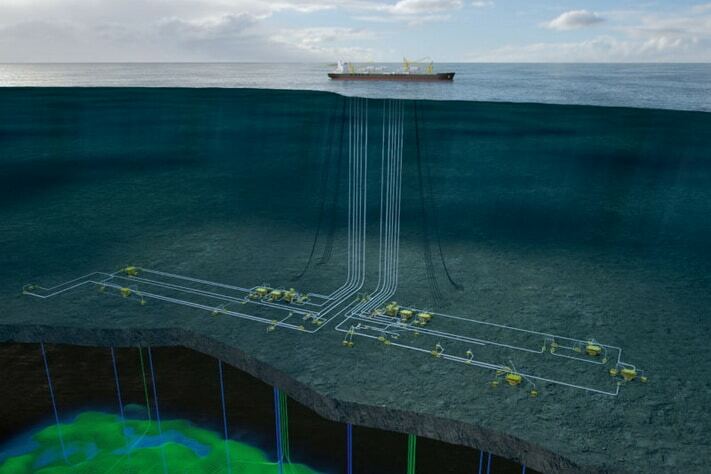 The main Pecan field, located in ultra-deep waters ranging from 2,400 to 2,700 metres about 115 kilometres offshore Ghana, will be developed with a Floating Production Storage and Offloading (FPSO) vessel and a subsea production system (SPS). Read about Aker Energy’s success story in Ghana in GEO 02/2019*. The development of the Pecan field will comprise of up to 26 subsea wells. 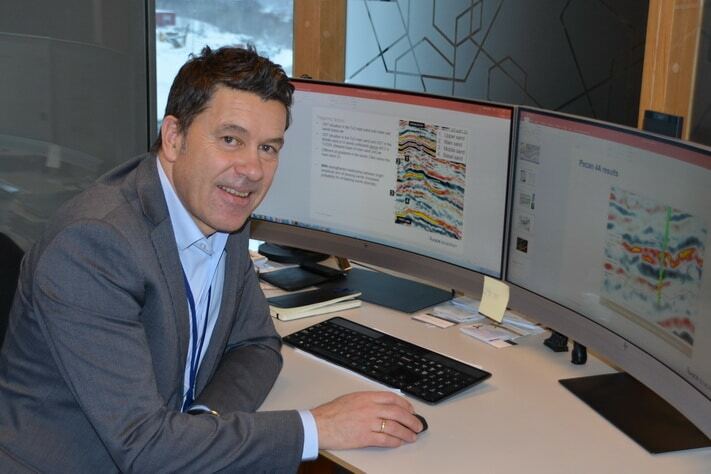 It is planned for 14 advanced, horizontal oil producers and 12 injectors with alternating water and gas injection (WAG), and the use of multiphase pumps as artificial lift, to maximise oil production, Aker Energy says in a press release. In addition to the reserves to be developed in the first phase, the area holds discovered contingent resources (2C) of 110-210 million barrels of oil equivalent (mmboe), combined resulting in an estimated volume base of approximately 450–550 mmboe. Total resources in the area have the potential to increase to between 600-1000 mmboe, provided successful appraisal drilling activity. 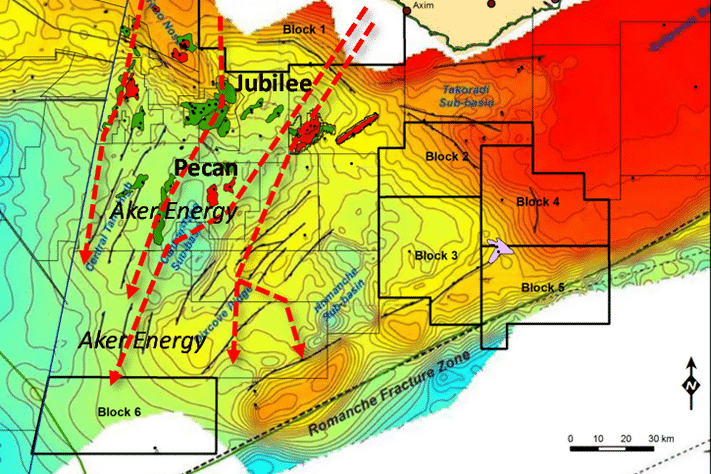 Data analysis and appraisal drilling are currently ongoing at Pecan South and Pecan South East. *You can order a copy of GEO 2/2019, or become a subscriber. Click here.